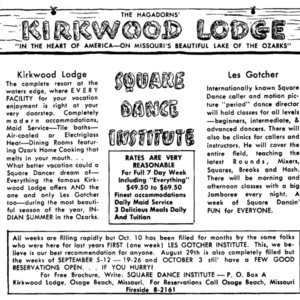 This advertisement is for Kirkwood Lodge (Osage Beach, Missouri), the venue sponsoring the second annual Les Gotcher Square Dance Institute. The 1950s saw a dramatic increase in the number of square dance special events and venues. “Kirkwood Lodge ad - 1954,” Square Dance History Project, accessed April 19, 2019, https://squaredancehistory.com/items/show/1729. 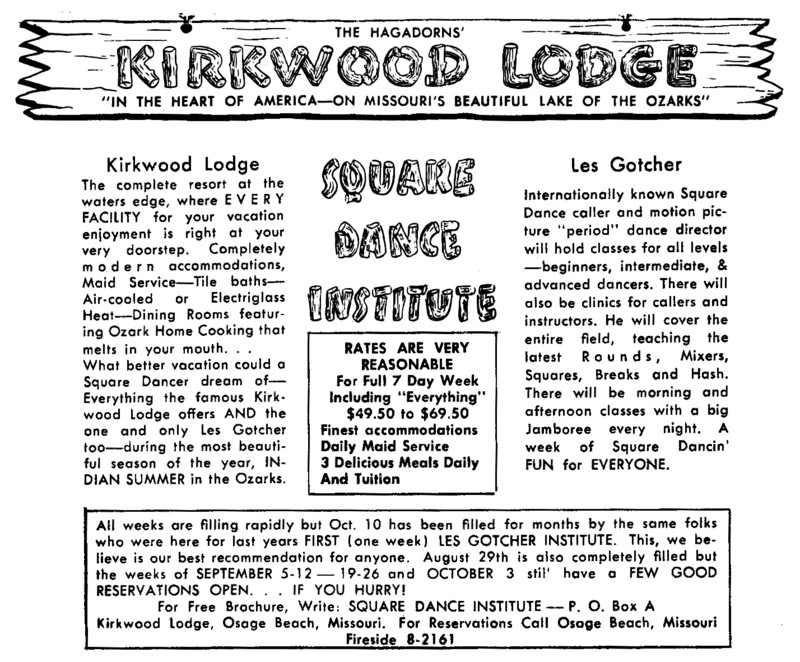 This advertisement is for Kirkwood Lodge (Osage Beach, Missouri), the venue sponsoring the second annual Les Gotcher Square Dance Institute.